Reiki is an energy based, Japanese technique used for stress reduction and promotes relaxation and assists with healing mentally, emotionally, and physically, and spiritually. There is a natural energy that flows through the cells and organs of the body and brain. Reiki heals by allowing the body to make positive changes in that energy that begins to allow the body to heal itself. Reiki assists the body and mind in returning to a balanced state. Assistance in healing from physical injury, surgery, or any other physical illness. Is Reiki beneficial in conjunction with Psychotherapy? Psychotherapeutic Reiki is a technique that is used to treat psychological, emotional, and behavioral problems. It blends Reiki and psychotherapy to release any negative effects of any traumatic experiences or conditions in peoples’ lives. This works by identifying blocks, pattern, and beliefs with traditional psychotherapy, followed by utilizing Reiki to process, heal and move forward. As new realizations arise for the client, they are then discussed and worked through. YOU!! 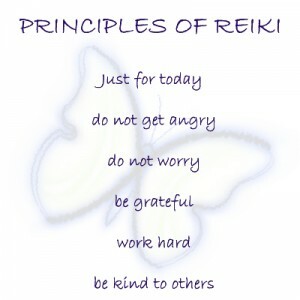 Anyone can learn Reiki and will then be able to use it on themselves, others, plants, pets, and anything else desired. I teach classes of all levels of Reiki. 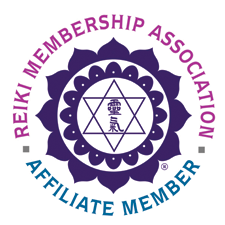 Click here to read about Reiki classes in Pittsburgh, PA. The practitioner places his/her hands on or around the client’s body in several different areas. The client may feel different sensations like warmth, tingling or vibration. Usually the client just feels a sense of peace and relaxation, but sometimes an over- all sense of calmness will occur. The client is typically lying down, or sitting in the chair during the session. The session can last anywhere from 20 minutes to over an hour. Over 800 hospitals in the U.S. since 2007 are using Reiki to assist with healing. Also all hundreds of other countries around the world. Does Reiki ever cause harm? No, Reiki never causes harm. There are no reported negative effects from using Reiki. It always knows what a person needs and is always helpful. Reiki cannot harm the practitioner either because it is not using the energy of the practitioner, but the energy provided by the universe.